We are here to help any students wishing to progress their French but for some, “making the grade” is more important than for others. Perhaps your teenager is due to sit a GCSE or A Level exam and are worried they’re not quite at the level they want to be. That’s where we come in. 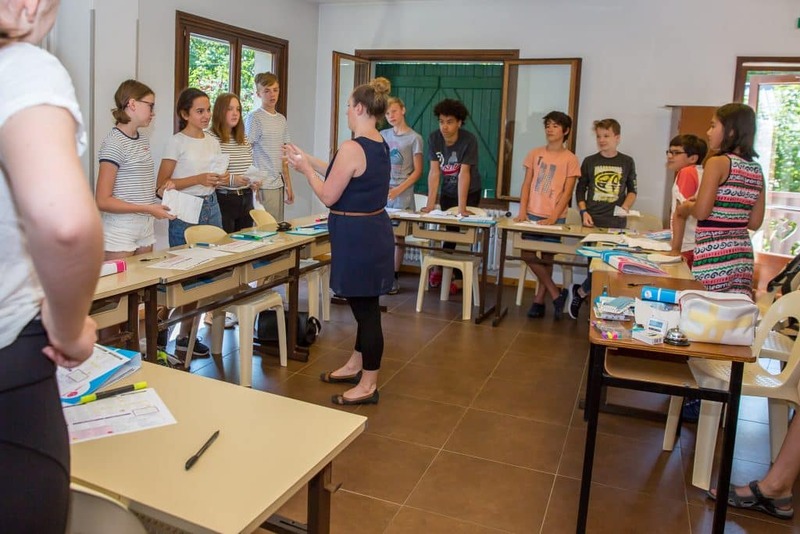 We have some fantastic teachers with experience teaching in the UK school system meaning we are able to deliver fantastic intensive courses, here in France, to help your child get the grade they want. Most students who sign up to our intensive exam courses travel to Morzine with their family and make the trip into a holiday as well. We offer 15 hours of teaching across a 5 day period which means there’s lots of free time around classes to explore the area and of course practice the language. Most of these courses are run during the school holidays as well so really are perfect for anyone looking for a break but also a bit of extra help towards a French exam. Being surrounded by a language is also a great way to improve both your understanding and your speaking of it so we think our courses are ideal when it comes to making a quick difference to your French. Having the opportunity to put some of your French into practice will also help develop your confidence and understanding of the way the language works. We’ll also help you find the right accommodation for your family in a local hotel, apartment or chalet. All children learn in a different way, some find learning a language easy whilst others just don’t “get it”. We recognise that everybody has different needs, strengths and weaknesses and we tailor our intensive exam revision courses to suit individuals. We’ll assess what each individual student hopes to get from the course and also look at the end result they’re hoping for. Our teachers are native French speakers yet have spent time in teaching in the UK school system, they’ll help your child with targeted preparation for their exams and will help specifically by giving them hints and tips to improve their listening and speaking skills. We also know what examiners are looking for and how to get the highest points for each question. We’ll help students understand more about how to get the best possible scoring in their exam. What about a summer school? Our intensive courses are available during most school holidays and run as group sessions with a minimum of 3 students. However perhaps you feel that your child might respond better in a fun, summer school type environment. Each year we run a fantastic programme of summer schools here in Morzine. Again, we tailor the teaching to suit the students and what they’re trying to achieve, but alongside the learning we offer lots of fun activities to keep the children engaged and interested. It’s a fantastic alternative if you feel your child might benefit in a little extra French tuition.